We are very proud of the original research we commissioned earlier this year - but it is always heartening to hear that other people find our work useful, so I was delighted when I got asked this week "Why did a small charity like Fields in Trust commission such an innovative and unique piece of research?" Firstly, we recognised the need to measure our impact and secondly, we wanted our new five-year strategy to be evidence-led. We also saw the need to develop a stronger counter-argument when budgets for parks are being cut because of their maintenance costs rather than the return they give. We are attempting to present a compelling business case that argues for parks and green spaces to be revalued. This took us into a world of economic valuation and there are many environmental economists out there working passionately in this field, some of whom I met when I presented at the Valuation in Practice conference this week alongside Dr Ricky Lawton of Jump X Simetrica, to academics, policy and regulatory bodies from across the UK. This gave me some useful insight and affirmation that our research study is well-regarded. Economic valuation of non-market goods has been used for around 20 years or so to inform decisions involving social and environmental impacts, however it's a complex landscape even for the initiated it seems, with a plethora of valuation methods, models and tools and it is not yet completely accepted by the mainstream. We needed a pragmatic piece of research that we could apply across all our three strands of work - to protect, champion and support parks and green spaces - and something that our stakeholders could identify with. 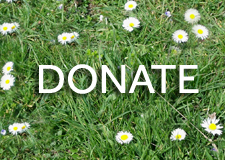 Much like libraries and museums, parks and green spaces are free at the point of access. 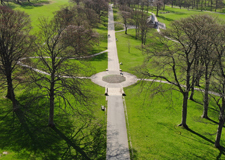 Our study uses a new dataset of 4000 people and is the first study to apply welfare weighting methodology to public parks and green spaces using rigorous methodology based on HM Treasury Green Book Guidance. The publication of our research comes at a time when parks and green spaces are increasingly seen as a part of the UK social policy agenda. For example the Government's 25-year Environmental plan, "A Green Future", commits to using environmental valuation stating "Good evidence is the cornerstone of effective policy making" (pg 133). Parks and green spaces are directly referenced in this plan which aims to provide "a greener country for us all". 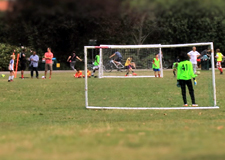 Whilst parks and green spaces are the responsibility of the Ministry for Housing and Communities and Local Government, they are also integral to getting the nation active, helping to address the childhood obesity crisis and delivering the preventative health agenda - policy areas in different government departments. This calls for a better cross-departmental approach we think, but that's a blog for another day! 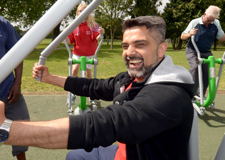 We estimate the value that frequent use of local parks and green spaces has on our health and wellbeing at £34.2 billion per year, as well as saving the NHS £111 million per year through reduced GP visits - and that's just a partial cost saving. The study also uses a Contingent Valuation method to delve into the socio-demographic differences in value. Do decision makers respond more to valuation? Good question! It certainly helps make a compelling business case for the provision of parks and green spaces, and we are not trying to put a price on nature but rather quantify the health and wellbeing benefits that they provide to us all. Parks and green spaces lead to improvement in human welfare, they are good and we want to make sure they are there for good. As long as there is a threat to our public parks and green spaces then making the case in economic terms can help to change the conversation. Alison McCann is Fields in Trust Policy Manager. She can be contacted by any of the below means. Alison McCann is Fields in Trust's Policy Manager. Having worked for the organisation for the last six years, Alison's current role focuses on research about the value of green space to better inform policymaking, as well as overseeing the legal support function for sites protected with Fields in Trust. Alison led the commissioning, data analysis and report production for Fields in Trust's Revaluing Parks and Green Spaces research published in May 2018. 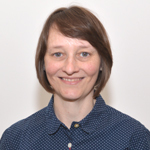 Alison previously worked in Sports Development for two London Boroughs, managing projects with a range of stakeholders and community groups.